The incompressible Navier–Stokes equations form an excellent mathematical model for turbulent flows. However, direct simulations at high Reynolds numbers are not feasible because the convective term produces far too many relevant scales of motion. Therefore, in the foreseeable future, numerical simulations of turbulent flows will have to resort to models of the small scales. Large-eddy simulation (LES) and regularization models are examples thereof. In the present work, we propose to combine both approaches in a spectrally-consistent way: i.e. preserving the (skew-)symmetries of the differential operators. Restoring the Galilean invariance of the regularization method results into an additional hyperviscosity term. In this way, the convective production of small scales is effectively restrained whereas the destruction of the small scales is enhanced by this hyperviscosity effect. This approach leads to a blending between regularization of the convective term and LES. The performance of these improvements is assessed through application to Burgers’ equation, homogeneous isotropic turbulence and a turbulent channel flow. This work has been financially supported by the Ministerio de Economía y Competitividad, Spain (ENE2017-88697-R) and a Ramón y Cajal postdoctoral contract (RYC-2012-11996). 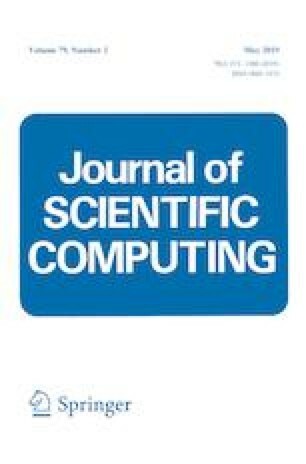 Calculations have been performed on the IBM MareNostrum supercomputer at the Barcelona Supercomputing Center (FI-2016-3-0036). The authors thankfully acknowledge these institutions.